The weather has been lovely most of this week and the wildlife, including our Smokey, think spring has sprung. 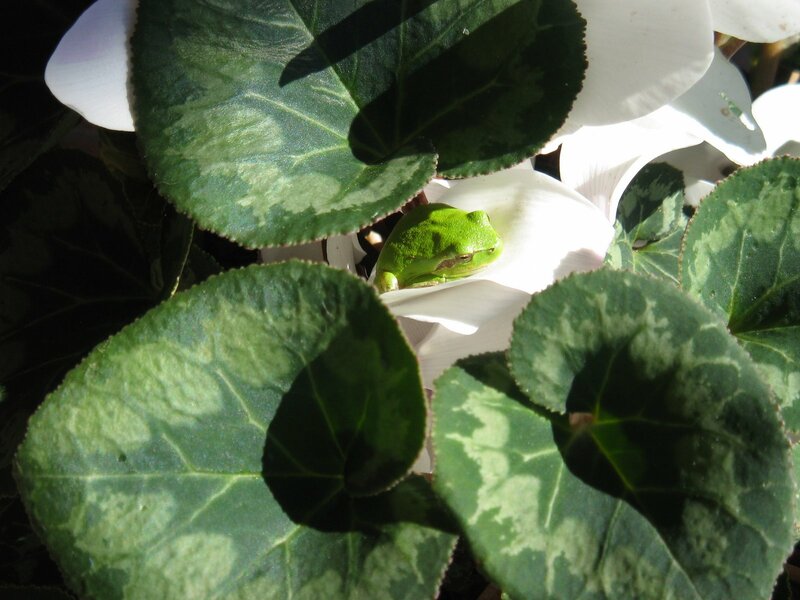 I spotted this tiny wee frog sunbathing on our cyclamens at the front door. Isn’t he cute? This entry was posted in cyclamen, frog, spring by Alba Yarns. Bookmark the permalink.